Click the button below to add the Cantera Bath Sink "Colonial" to your wish list. Colonial bathroom sink with pedestal made of cantera. 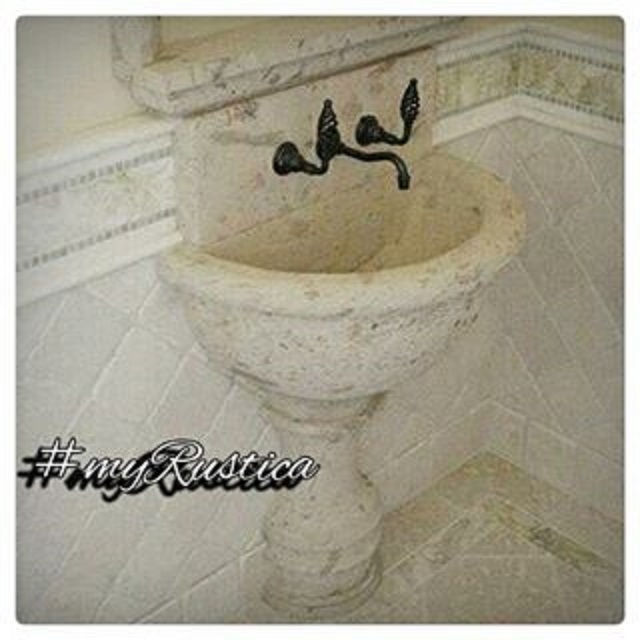 The sink can been handcrafted in stone color of choice. Since this wash basin is made by hand it is quite unique. It is available in regular or made to order size. Delivery time frame from Mexico to the US takes about five weeks. Shipping to Canada takes longer.